Product prices and availability are accurate as of 2019-04-14 14:39:12 UTC and are subject to change. Any price and availability information displayed on http://www.amazon.com/ at the time of purchase will apply to the purchase of this product. Are you looking for a muti-functional wall floating shelves? Soduku rustic wood wall shelf is the best choice for you! It can efficiently make use of your empty wall space and create a storage solution without taking any valuable floor space. 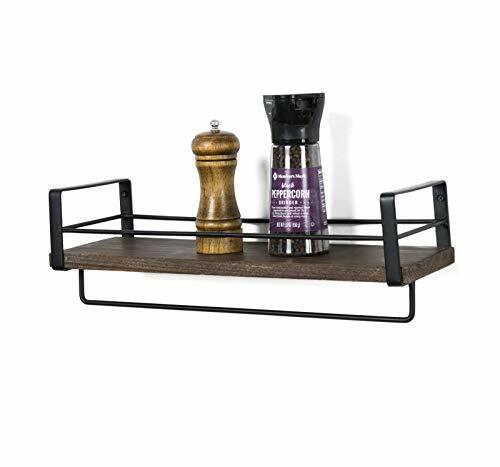 The rustic wood shelves matches almost every decoration and is great for your kitchen, closet, dining room, living room, bedroom, bathroom or office. The kitchen spice rack could help you organize your spice, can or tins and so on orderly, make you easy to find the spice you want, offer more space on counter top. 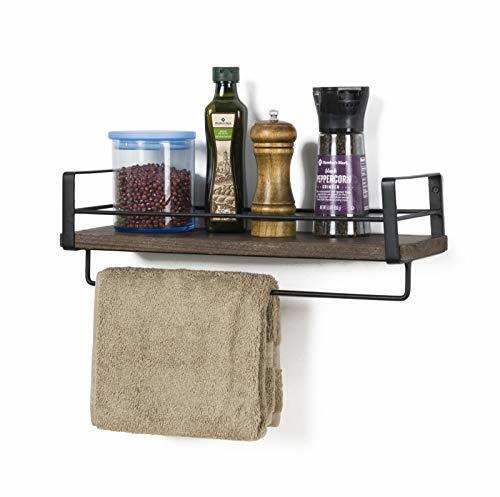 This floating shelf are great for utilizing in various spaces, you can use the shelves to tidy up your bathroom with ease. Great for organizing your toiletry, hair care supplies, make-up, bath accessories and many more. ?STURDY STRUCTURE- Simple design rustic wood shelves constructed of solid paulownia wood boards and powder coated metal brackets.Lightweight but solid wood can holds up to 50 lbs. ?EASY INSTALLATION - There comes with necessary durable hardware tool,super easy to assemble on the wall.The rustic wood shelves overall dimension: 16.33''L X 5.6''W X 5.9''H ?EFFICIENT SPACE SAVER - Our rustic wood wall shelf offers a large space for storage and can display in your kitchen, living room, bedroom, bathroom, entryway and more. Creates ample shelf space in unused areas of the home,perfect solution for compact areas. 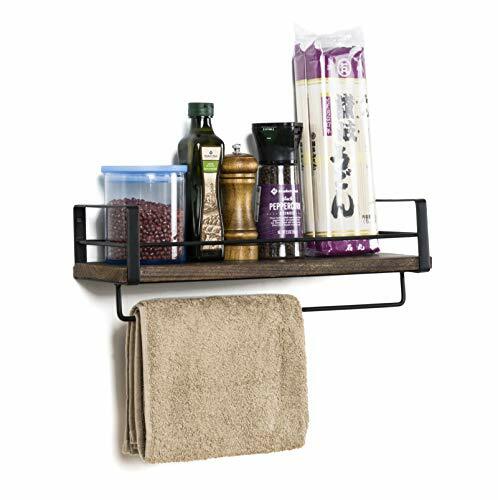 ?MULTIFUNCTIONAL WALL MOUNT SHELVES - Soduku wall shelf is useful for adding additional shelving space to store and organize small items or clutter in bedroom, bathroom, kitchen and more.You also can hang a few hooks on the rail to tidy up your kitchen, drawers and cabinets. 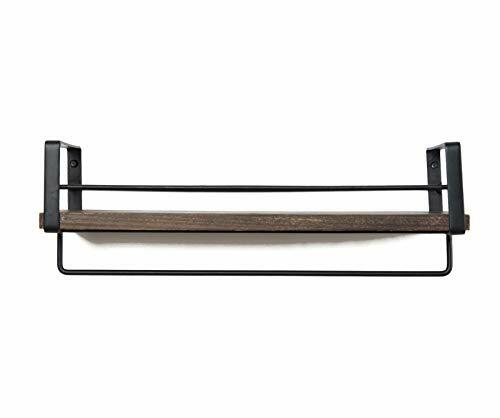 ?SATISFACTION GUARANTEE - 100% satisfaction and 30 days money back guarantee.Order Soduku rustic wood wall shelf with confidence, click and add to cart now! Great addition decoration accessories to fit for any wall space.